Canva is a killer YouTube channel art creator! You can also create Facebook images, Facebook covers, Pinterest images, Instagram images, all sorts of social media images! Check out our step-by-step video tutorial here! Hello and welcome to this quick little video which will guide you through how to create YouTube Channel Art completely free using a nifty little design website! You can create all kinds of things from Social Media images, infographics, YouTube channel art, Facebook banners, posters and lots more! You don’t need any design experience or be able to draw or anything like that! It’s already been designed and made to look awesome for you, all you do is customize it! You can sign up for an account and have a graphic made and ready in under five minutes. So lets get straight into it so I can start showing you how great this is! 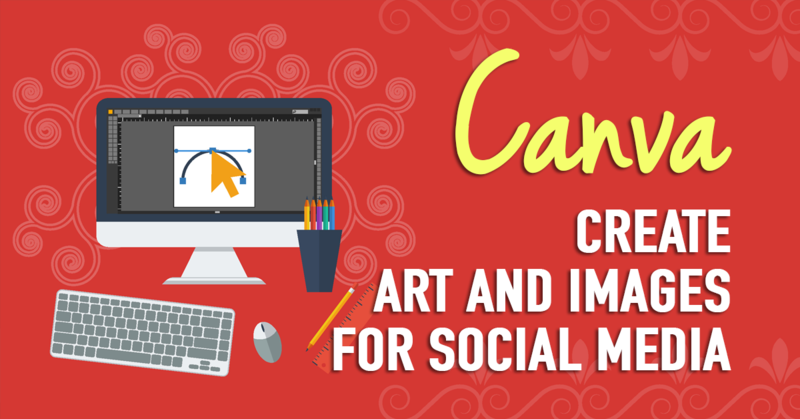 Canva.com is where you can work your magic. All you do now is register an account with them. You can either sign in using Facebook or use an email. When you’ve done that you’ll have access to the whole website and all it’s features! And it is very feature rich, but this video just isn’t big enough to cover it all so if you’d like to learn more we have step by step videos on our website! Now that you’ve registered, you’re presented with a quick little beginners lesson on how to use the website. I’ll come out of this so we can get into learning how to create some great looking YouTube Channel Art! This is the dashboard for Canva. You have some quick links to different media here and some previous designs you’ve done here. Click more and you’ll have lots more options on things to create such as Twitter posts, Pinterest graphics, Instagram posts, Facebook posts, even a US letter, A4 page design. There’s also marketing materials, Blogging and eBooks. But, we’re here for the Social Media and Email Headers section. Now click on YouTube Channel Art. It opens in a new page and you’ve now got your own design dashboard with a toolbar on the left, images next to that, and your main work area on the right. So, to add a template, just browse through the hundreds available and click to add it to your work area. There are lots of great free templates to use, but you can also buy templates if you see one you like the look of. They are only $1.00! Now the template is in your work area, you can customize it and make it exactly how you like. To edit text, just click on it and you can edit the elements in the template as well. For example, I can change this outline to any color I’d like by selecting it. This small toolbar comes up and I can change the color by selecting the colors and choosing a color. If you want more flexibility click on + and you have a choice from millions of colors! Easy! This is the same for text as well, which you can change the style and color of the font. You can easily add images onto the template using the search feature. Just type in keywords and search for an image you like, click it, and it’s seamlessly added to your design. This means you can choose a template you like, such as the palm tree template which is only $1.00. Just search for palm trees and add another image. You can now download it for free! You can also rotate your image as well as have complete control over the colors by clicking on the Filters button, and clicking Advanced. Quickly add text using the text tool on the left, which has hundreds of free templates to use. Again, just click to add it to your design, then customize it to how you like! If you want to move text backwards or forwards, so it’s either behind or in front of other elements in your design, click on the little arrow and you have those options here. Now you’ve got your fresh new creation, you’re ready to share it with the world! To download just click on Download, and then Save As an Image. Canva.com then get’s your image ready and it downloads in high quality! If you like the images found in Canva, but are wanting even more to choose from, then you have got to check out our FREE image pack with 20 free photos ready to be downloaded and used on Canva! Get your image pack to download here! FREE Photo Pack Download! 20 FREE Photos To Use On Your Next Project! You have limitless options at your fingertips when using Canva.com. It’s a real game changer for creating amazing looking media for your business and online presence. Instead of paying someone hundreds or thousands of dollars, just use Canva.com to create a beautiful custom design yourself, quickly and easily! By the way, we created another video for you which guides you through creating a logo for free! Again it’s all online and very easy to use so check that out now! Also, be sure to check out all our other step-by-step guided tutorials for tools like these and more on our website. We’ll get you set up with a brand new website and hold your hand along the way while you learn an amazing tool and it’s many features. Check it out here! I hope you’ve enjoyed watching, and if you did, please give this video a quick like! And, if you want to be extra awesome, share it with friends! Thank you, and see you in the next video!